Bigger isn’t always better. You can make priceless memories in a kitchen of any size! But how do you squeeze all of the function you need into the form that you have? Of course, it is possible to maximize smaller spaces, and we have some ideas that may help! Let’s create the kitchen of your dreams without the clutter. It is becoming quite common to see down-sized kitchens in newer homes. We recommend investing in smaller countertop appliances and built-ins to maximize your space without sacrificing any functionality. The Sharp Superheated Steam Countertop Oven is a perfect addition to small kitchens because it is both easy to store and clean, plus it eliminates the need for a traditional toaster oven. You’ll use it every day. You may even consider downsizing your slide-in range. 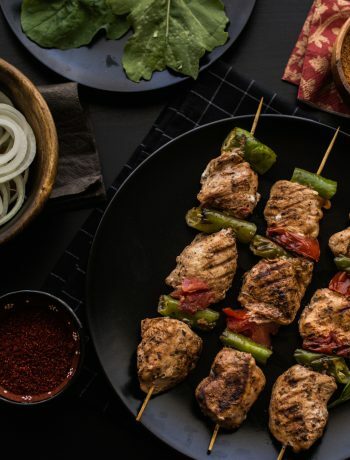 It combines superheated steam and conventional, radiant heat in all cooking modes ensuring that your food is crispy and browned on the outside, moist and delicious on the inside. While investing in small appliances is a must, we all have those gadgets that sit in the corners of our cabinets collecting dust. Choose accessories that are beautiful and functional multi-taskers and clear the clutter. Yes, all kitchens attract clutter, but in a small kitchen clutter creates stress. Add color to the walls, back-splash and drawer liners, and donate gadgets and tools that you haven’t reached for in a year. While your kitchen may be small, your design does not have to be. Give your kitchen a larger look with bright tiles for a back splash behind your sink or in-between the cabinets and counter space. Small tiles will give your kitchen a more condensed and crowded feel. We recommend choosing large and plain floor tiles with simple designs, if any, to avoid creating a busy look to the room. We all know that the lighting in a room can set the mood, but it can set the scene as well. 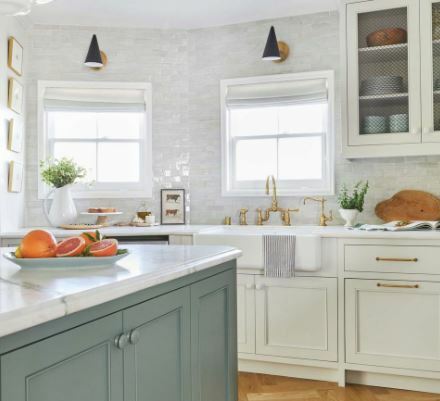 It is important to strategically plan out where you are going to hang light fixtures and project light in your small kitchen, as bad lighting will always contribute to a space feeling small. We recommend utilizing windows and doors for natural light and starting off with fewer light fixtures. You can always add more later! 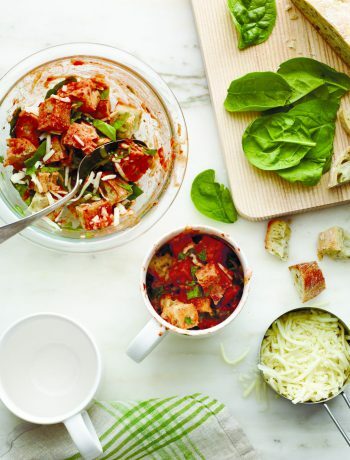 Space is of the utmost importance for an active cook in the kitchen. Start off your small kitchen design by making sure your sink and stove top are easily accessible and that there is a suitable amount countertop space by each one for easy use. Despite what you may have heard, it is possible to have all the appliances you need without sacrificing all of your countertop space. 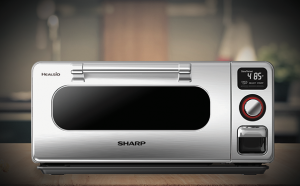 You will want to research appliances that can be built into your countertop space such as Sharp’s Micro-WAVE Drawer. 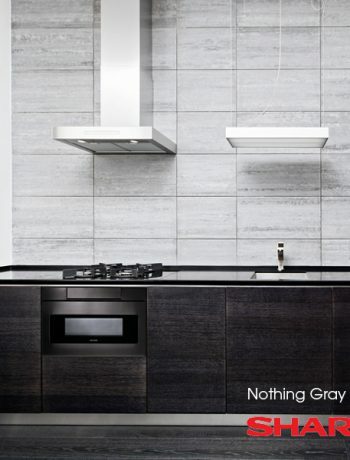 This appliance will give your kitchen both a modern feel and more cooking space. Innovation is a major factor in creating a functional small kitchen design. Space savers come in all shapes and sizes, so why not save countertop space by investing in a wall hanging utensil holder? Share with us your space saving designs in the comment section below!